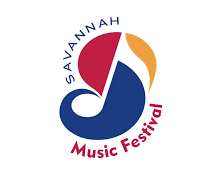 Savannah Music Festival has accepted the resignation of Rob Gibson, its Executive & Artistic Director of sixteen years. Mr. Gibson led the organization’s transition and ascendance from a small, primarily local event to one of international prominence, drawing visitors, artists and favorable reviews from around the world to its multi-genre presentations. He leaves to pursue other interests, and SMF wishes him well in those endeavors. Under Mr. Gibson’s leadership and vision, SMF developed three landmark music education programs for which it expends nearly half a million dollars annually. The largest of these is Musical Explorers, a program developed in partnership with Carnegie Hall’s Weill Music Institute, which provides year-round music education to approximately 11,000 Savannah-area K-2 students. Other education programs formed under Rob Gibson’s leadership include Swing Central Jazz, a workshop and competition for the country’s leading high school jazz orchestras, and the Acoustic Music Seminar, a nationally recognized mentorship program for young string players. Mr. Gibson also fostered numerous artistic partnerships and commissioned works, and hosted ten seasons of the public radio show Savannah Music Festival LIVE. SMF will quickly but thoughtfully engage in a national and formal search for new leadership. In the interim, the organization’s operations will be in good hands under the direction of its highly experienced and dedicated board and staff.